Henrietta Zuel - who may still be better-known to some under the name she used to go by, Henni Brockway - had the best showing of her very young professional career in the Ladies European Tour S4C Wales Ladies Championship. Zuel was the second-round leader, and finished tied for third, one stroke off the lead. Henrietta first played LET events at the age of 16. 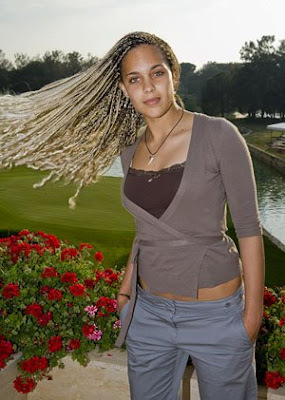 She won the 2007 British Girls Championship and turned pro at age 18.